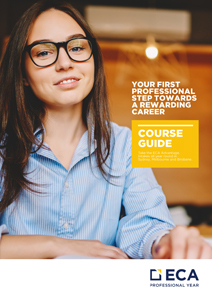 Professional Year (PY) offers the unique combination of qualified teachers with real-world business experience, and highly focused modules designed to prepare you for your professional career in Australia. The ECA Advantage also provides you with additional benefits (including courses and support services) free of charge, designed to maximise your professional employment opportunities. The PY Course Structure which is delivered over a 44-52 weeks. 245-hour internship in an Australian company working in your industry. For IT students, a compulsory online program; (PE) developed and managed by ACS. Intakes are all year round in Sydney, Melbourne, and Brisbane. The full program (including all components) takes approximately one year to complete. Critical skills for the Australian workforce. Small group, simulated business projects.